Today I present to you a very useful tool that I would like to share with you. If you work in information technology or dabble around with it, this tool may be of great use to you. Inspired by http://www.hackfromacave.net/katana/, I have made my own multi-booting USB flash drive. This is not a replacement for Katana but just merely an alternative. I present to you: zitstif-multibootmbr-usb-yumi or zitUSB for short (URL to download is toward the bottom of the post). 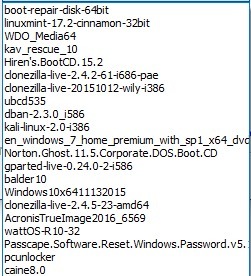 For clarification: WDO is Windows Defender Offline, kav_rescue is kaspersky AV live CD, the Windows 7 Home Premium is basically any version of Windows 7 (via a method like this), and there’s multiple versions of Clonezilla because I have ran into compatibility issues with certain systems. TAKE NOTE THAT YUMI-2.0.0.9 IS ON THE ROOT OF THE DRIVE, USE THIS VERSION FOR ADDING OR REMOVING DISTROS! IF YOU USE ANY VERSION DIFFERENT TO ADD OR REMOVE DISTROS, YOU WILL POTENTIALLY MAKE YOUR FLASH DRIVE UNBOOTABLE! I made an image of my flash drive using clone-zilla-2.4.2-61-i686-pae, however that version or any newer version should work in creating your flash drive. A quick side note: I was able to boot off of this drive using a Macbook (13-inch, Late 2009). I first had to use Plop and then told the Macbook to boot off of USB. However, in the Yumi menu, the keyboard did not work and I had to use an external keyboard. #10/15/2017 Recently a friend wanted me to make a copy for him. The USB drive I used to create the Clonezilla image, calls for a 32.1GB flash drive, however his flash drive is only 32GB. This is no issue. The zitUSB volume has about 10GB free and you can use the ‘expert’ option in Clonezilla, switch on the -icds flag, and lastly set the option for proportional partitions. #8/3/2017 Due to limitations of MEGA.NZ, I have the file also hosted on Google Drive. The mobile and tablet market have been flooded by millions upon millions of Android based devices. I wonder if Ken Thompson or Dennis Ritchie would have ever imagined that their invention from nearly 44 years ago would have influenced the likes of the Linux kernel, Google, Apple, and beyond. We are now in a sea of Unix-like devices that now can easily fit in individuals pockets, which have multiple core processing power and can easily access SCADA systems with a few keystrokes. It has never been a better time for pocket sized penetration testing devices. Firstly, before progressing on towards the weaponizing of your Android device, please take the time to back up any vital information. Have a look at this. Reason being, is that you’ll need to root your Android based device. Depending on your device and the method of rooting, rooting your device and unlocking the bootloader can wipe your device. NOTE: This image gives you about 2GB of free space in the environment to play with so use with care. 5.) 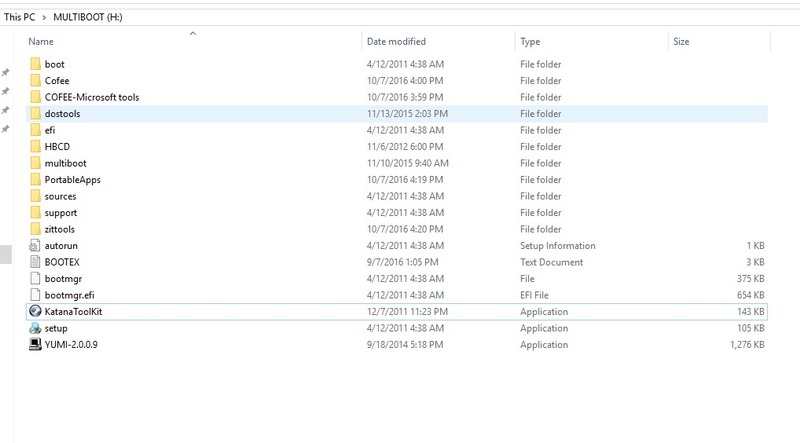 In this folder you should have shell script named ‘kali’ and the ‘kali.img’ image file. Now if you tap on Terminal Emulator, you’ll go directly to your Kali chroot environment. If you want to leave the environment and back to the Android command line, simply type exit. http://zitstif.no-ip.org/mountsdcard.py #You’ll need to edit the username and password appropriately for your situation. I should warn you that this Kali image is not setup with the idea of using a window manager or really any GUI tools. In my humble opinion to take advantage of Kali Linux, you don’t need a GUI. Using the terminal to access tools like nmap, netcat, w3af_console, sqlmap, xsser, and metasploit will be sufficient to get one started on their penetration test. Of course this is probably not complete, but I believe this is a very good suite of tools to get one started. If you can think of any more tools or if you have any suggestions, please feel free to leave a comment below. What’s beautiful about this method is you can usually find people’s full names, especially if they’re using Apple devices. Along with that, you’re not probing or alerting the targets. Also, if you’re not in range of a wifi access point and can barely see the AP, you can use this method while trying to connect (it makes this method a little less passive..), but I’ve discovered Iphone device names via this method. PS: I’m going to set aside time this week to put more effort into ettersploit. There’s something about Apple computers that I like to pick on. It’s not really the computers per se, it’s mostly the end users who can get on my nerves. Most people who I’ve met that use Apple computers, have little to no knowledge about computers or information technology. Yet, at times, these people tend to get lofty because they use Apple Computers and feel as if they can be be smug towards you since you might not own an over priced PC. (An Apple computer, which I’ll explain). With that aside, I’m reintroducing a bash shell script that one can use in a LAN to identify Apple computer users. I’ve tested it on Ubuntu and Backtrack and have had great results. As a matter of fact, a while ago I wrote this program, but as times have changed and the output of nmap has changed, I needed to rewrite this shell script. Information discovery — finding the names of Apple computers which 90% of the time have their real name in the title. Iphone/Ipod touch jail break test — If port 22 is discovered, a python script relying on pexpect will test to see if the default password for the root account is ‘alpine’. MAC address discovery — nta will ARP the Apple computer and report back the MAC address. If you have problems resolving the host names of the Apple comptuers with my program, make sure your Linux distro supports MDNS and/or you may have to try a different version of netcat. If you have any other problems, please contact me or leave a comment. As always, more to come! I’m planning on adding more features to nta.sh, such as having it interface through some means with metasploit.